You may think the downside of healthier eating is giving up your daily sweet treats, but the increasing variety of low-sugar food products and sugar alternatives means you can still satisfy your sweet cravings and eat without all the added guilt. Here are five diet tips to cut sugar without cutting taste. 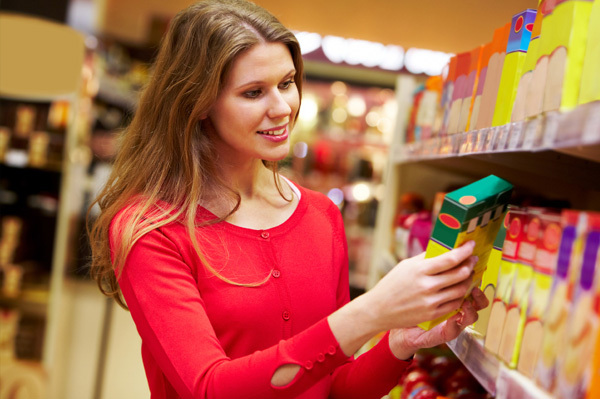 While you’re shopping, compare the labels of your favorite breads, baked goods, cereals and desserts. Opt for the brands with the least sugars (and the most fiber). Many recipes calling for sugar will taste the same if you cut the quantity of sugar in half or at least reduce it by one-third. Replace the sugar called for in recipes with the equivalent of a sugar alternative. You can even start gradually by replacing part of the sugar with an equal amount of a sugar substitute. Go natural with brown rice syrup, honey, or pure maple syrup. Another option for reducing the sugar in your diet without cutting taste is to use sugar-free or reduced-sugar varieties of your favorite food and drink products. Simple changes, such as using sugar-free flavored syrups in your coffee or sugar-free jams on your PB&Js, will satisfy your need for the sweet taste without the added sugar. Fruit is a low-calorie, natural source of sweetness that comes loaded with vitamins, minerals, antioxidants and fiber, unlike sugar, which has empty calories, or zero nutrients. You can add fruit to your favorite recipes while reducing the quantity of sugar or simply grab a bowl of fresh, ripe, juicy fruit instead of a calorie-laden dessert.